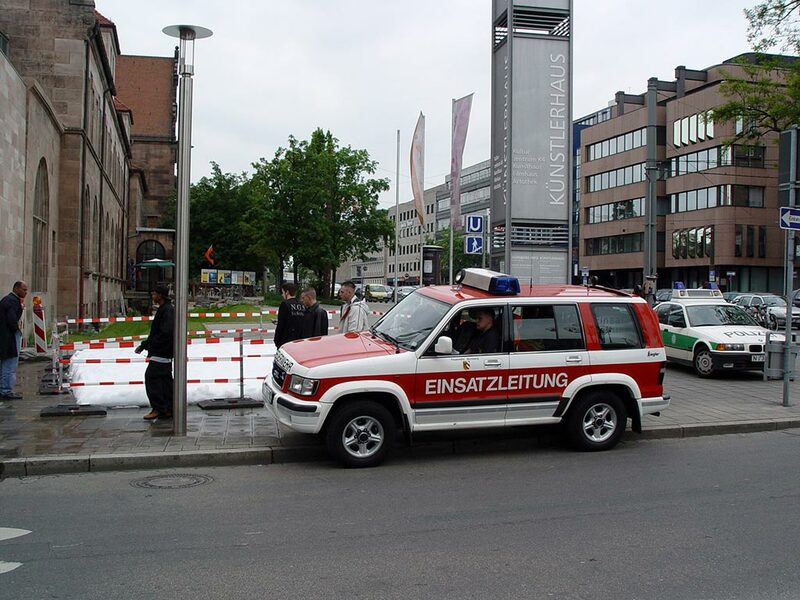 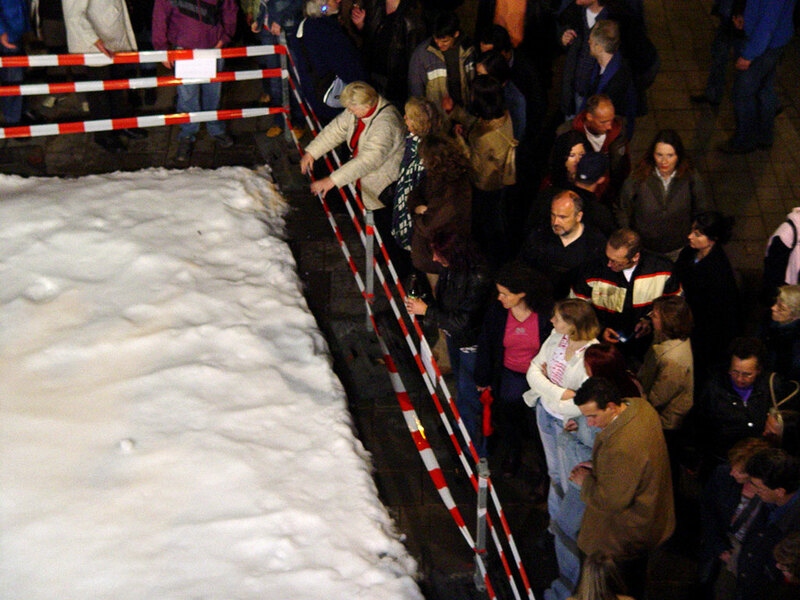 Snow cannot be kept, especially not in May, however, it was about keeping a piece of snow in Nuremberg on May 15, 2004, even though by using only red-white warning tape and for some hours and without any prospect of success. 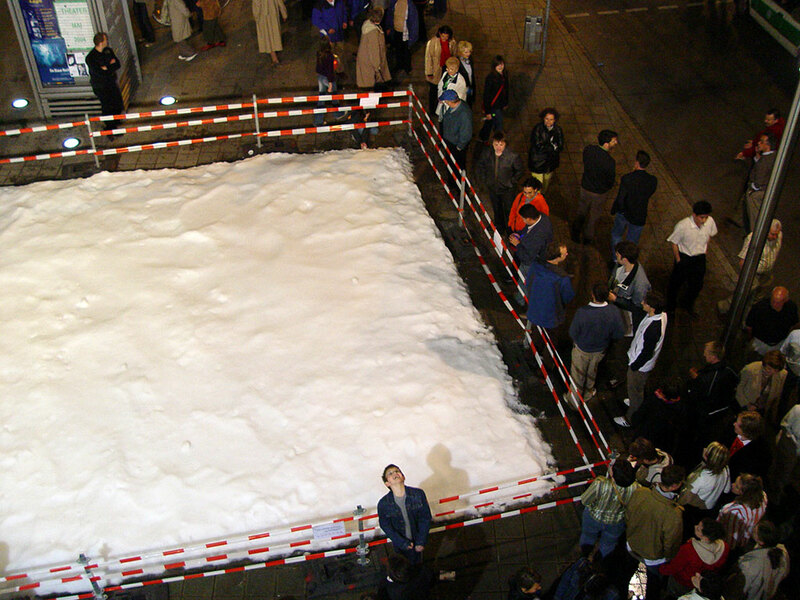 On the occasion of the “Blaue Nacht” I had a square of snow put up in front of the entrance of the “Kunsthaus” Nuremberg. 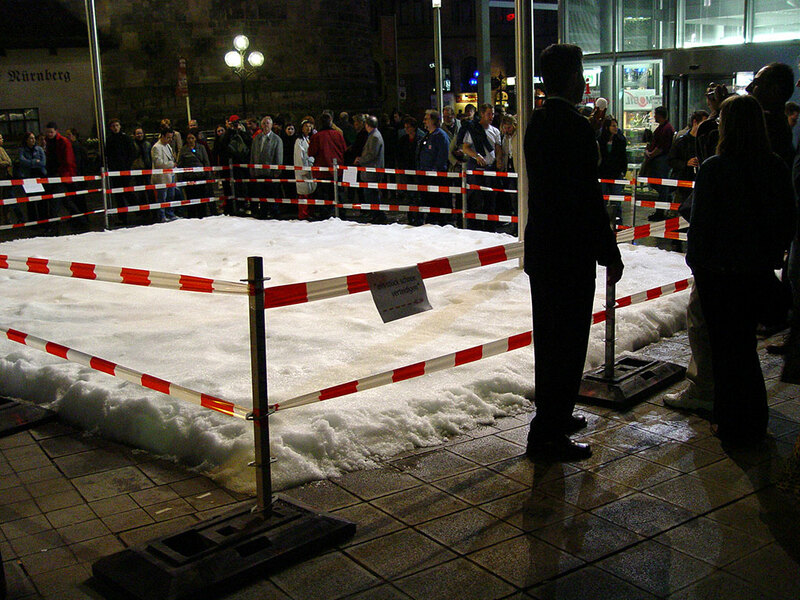 Artificial snow, produced with the help of a snow machine, was spread over a square of 10 x 10 meters, with a height of half a meter. 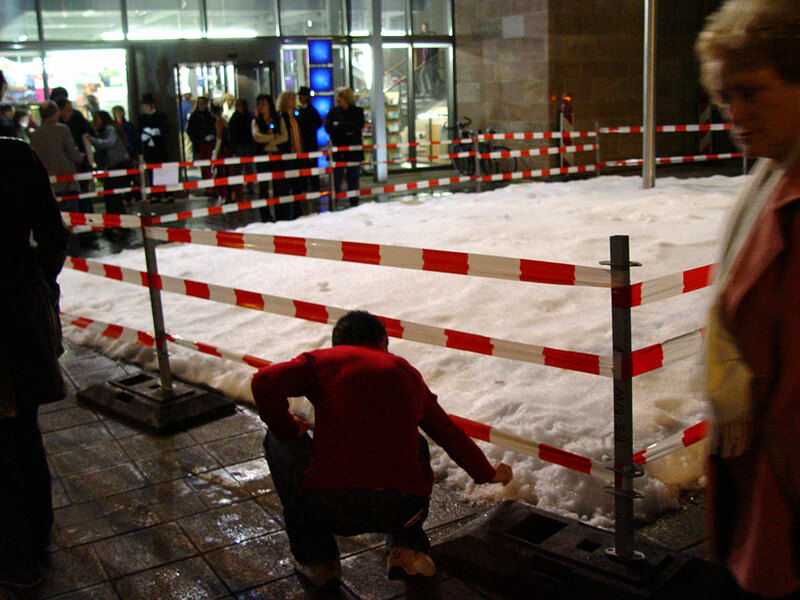 The square was protected from trespassing by warning tape (similar to roadwork). 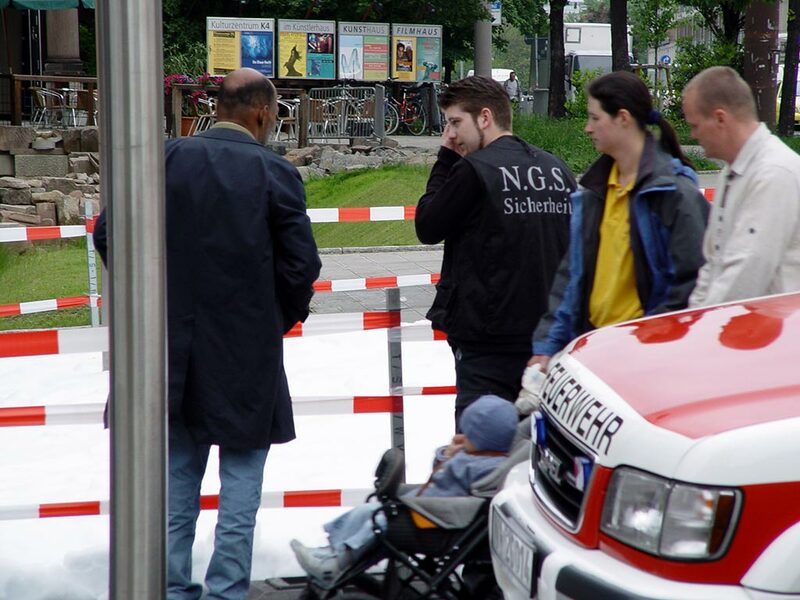 Additionally, two guards were on the spot. 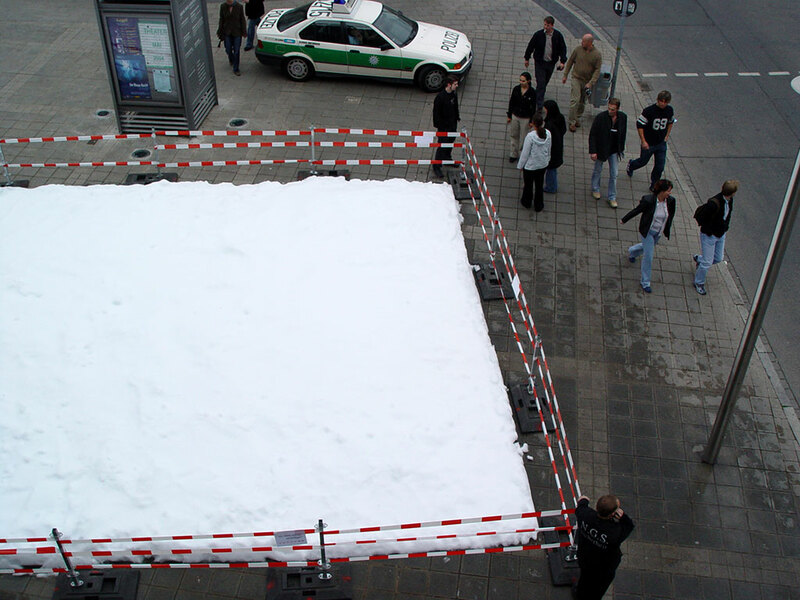 They were confronted with passers-by astonished by real snow and driven by an irresistible impulse to touch the snow. 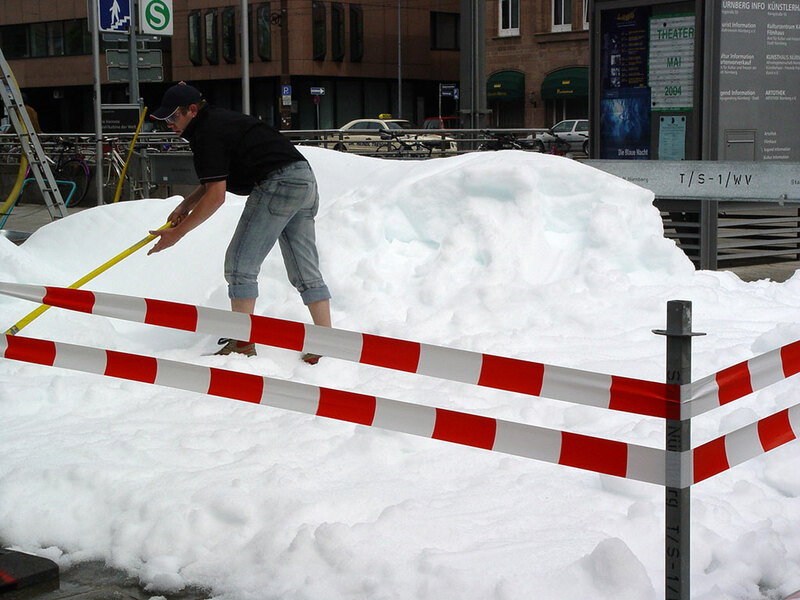 The melting of the snow continued till the next day.